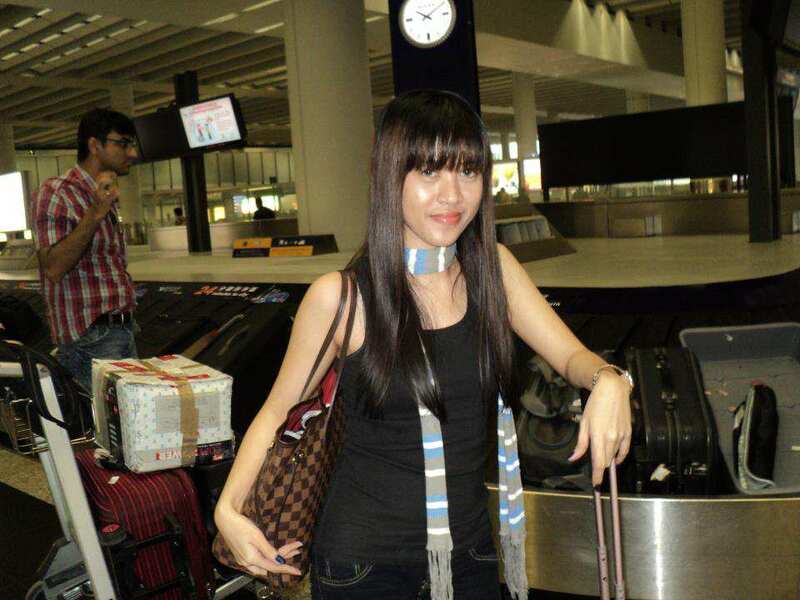 My Hong Kong Escapade. – Whatevah! I should have blogged about this last year but due to my busy schedule (as if!) 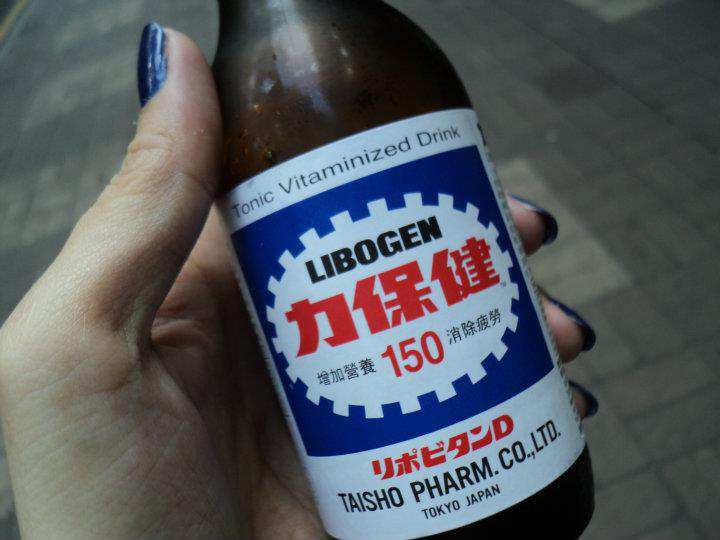 and extreme laziness (that’s more convincing, yeah), I had to put off making kuwento about my trip to HK and Macau. At the NAIA. Camwhoring while waiting for our flight. September 25, 2011, I was all giddy, I only had an hour of sleep! Tired from the booksigning the day before, yet I had enough energy to stay awake because I was totally excited. 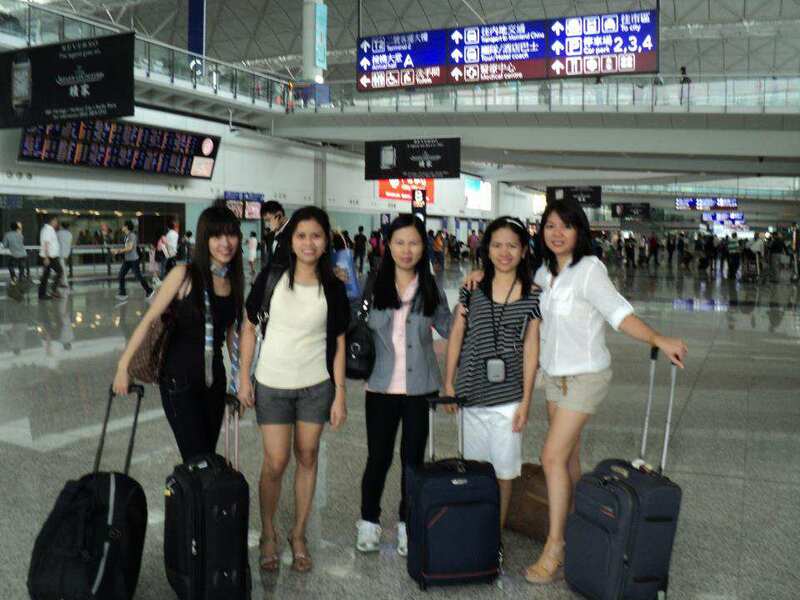 Together with Ate Agnes, Vic, Ate Chai and Ate Mitch, we boarded a Cebu Pacific flight to HK at 8am. We arrived at the HK Airport at 10am. The first thing that came out of my mouth was “Ni Hao, Hong Kong!” I was just so happy I finally set foot on another country. Yey! I told myself, “Bye for now, Pinas! Yes! Nakalayas din ako sa ‘yo sa wakas!” Haha, don’t get me wrong. I love my country. Nakakasawa lang. It’s about time that I see slit-eyed people everywhere I look nang wala ako sa Ongpin. HK AIRPORT. Picture muna before going to the hotel. 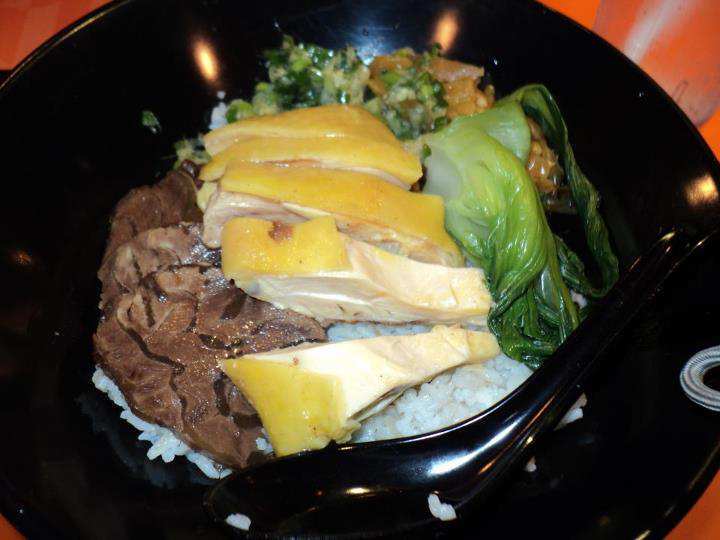 Food na treat ng HK readers namin. Thanks, guys! So, the HK airport was very neat and huge. 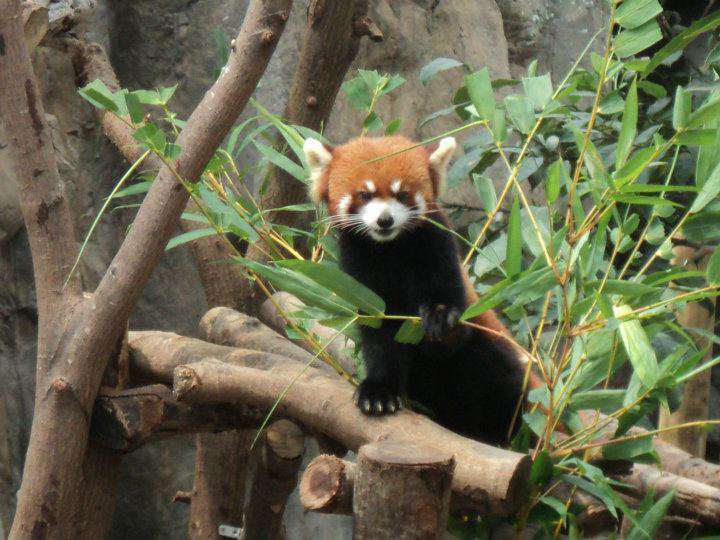 We were fetched by one of our readers who works in HK. 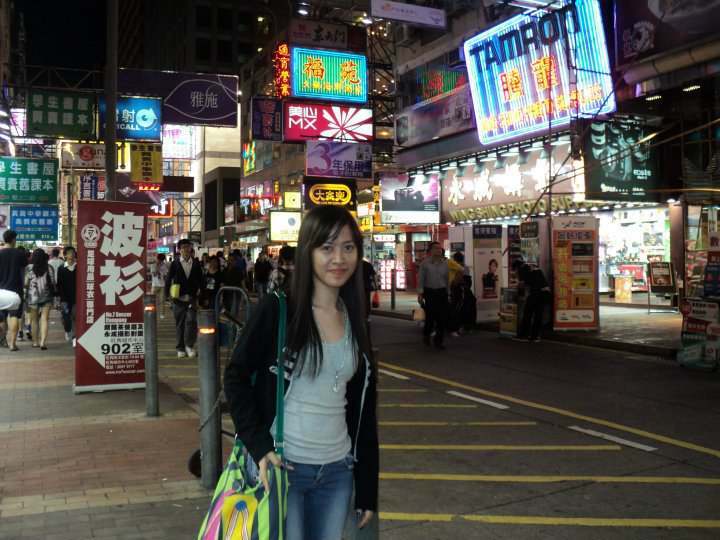 We took the bus to Tsim Sha Tsui or simply called TST (kung ayaw mo ng tongue-twister). The bus’ code was A21. In HK, they have codes for buses going to different places. Kung sa Pinas, may placards para makita yung destination ng bus, dun wala. Only bus codes. And they do not have “kundoktor”. They are very hi-tech. You can pay using an “Octopus Card” which you only tap on the surface of a sensor thingy or if you do not have that card, you can pay in bills. You just have to drop it in a metal box that spins every time you drop money. Very neat and organized ang sistema nila no? My first HK bus ride (with 2nd floor) was like riding a carousel for the first time. Ganoon kasaya! Sobrang ingay ko sa bus coz I couldn’t help my kilig as I watched the view outside the bus window. 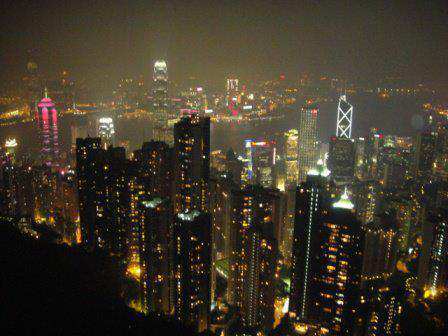 Wow, HK looked very nice! Para lang akong si Inday na first time nakapunta sa Maynila sa kakatingala sa mga buildings. LOL. My heart was filled with so much anticipation. Wapakels kahit hindi namin alam paano kami gagala sa place na yun nang walang tour guide. We were glad anyway that some people offered us help. Thanks to Glenda and especially to Grace for the help and food na rin coz they treated us for lunch at a Japanese resto where we were able to meet some readers who work there. So from booksigning yesterday, para na rin kaming nagbooksigning ulit this day. But it was fun. Cosmic Guest House. I won’t come back here. Promise. 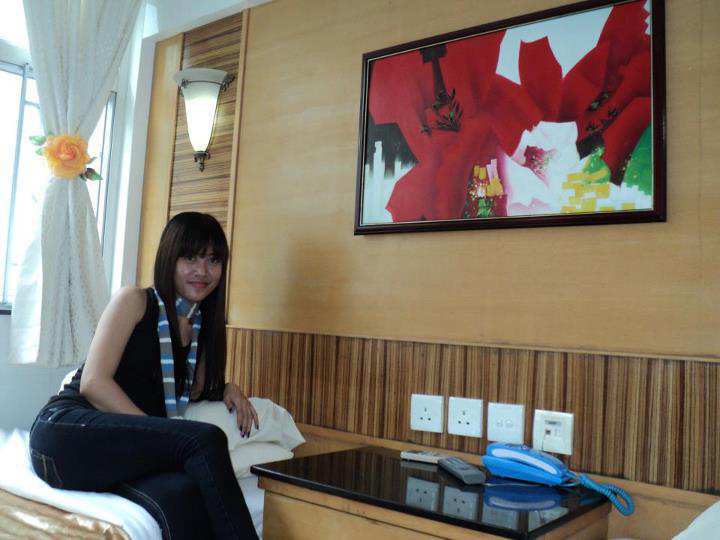 We checked in at Cosmic Guest House that cost us 1,540HKD (8,740php) for two rooms (1 for 4 people and 1 for 2). Praktikal kami, we did not want to shell out money for a luxurious hotel stay since tutulugan lang naman coz basically, we went there not to sleep, we went there to make gala until we drop! Cosmic! I do NOT recommend this hostel. Their rooms were not very clean and they have unfriendly staff (actually, I think, yung nasa front desk nila, yun din yung owner). Akalain mo, minalditahan pa ako ng tsekwa! Strolling along the streets of TST. Here’s the scenario: Yung electric outlets kasi nila, triple yung hole. As in lahat! Come on! So, I asked the woman at the front desk if they have adapters so we could use the outlets and man, she did not provide it for free! She charged me 3HKD for an adapter! Kalorki! At mind you, nakuha pa akong pagsabihan. 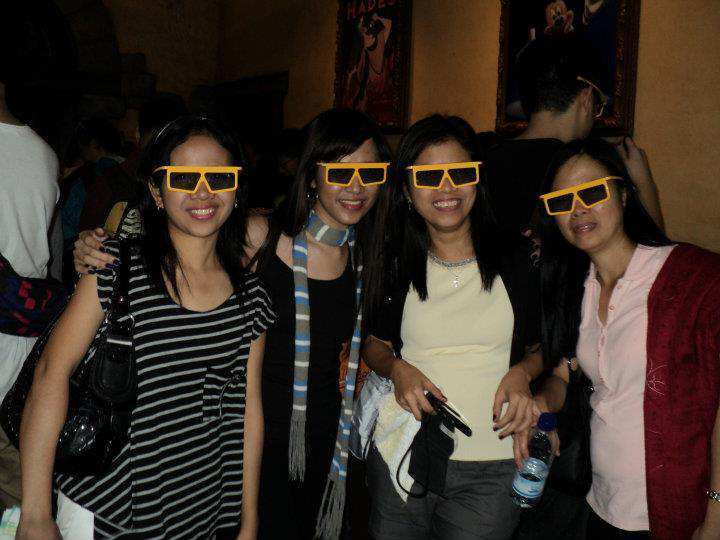 Sabi ba naman “You have to be prepared when you visit HK!” in maldita tone. Ay, Ka-imbyernadet sembrano si Ateh! Muntik ko nang makarate. Buti na lang matanda kundi pinatulan ko talaga. At ipinagpilitan pa na sa Pinas daw, 110 volts ang electric outlets. Hello, sino bang Pinoy sa atin, teh? Diba ako? So, if you’re a budget traveler who’s planning to go to HK and you’re searching for a decent hostel, please do not be misled by their professional-looking websites. Do not pick hostels that are located at Mirador Mansion because the building was a mess, not a mansion. We definitely regret booking in this hostel. But it’s okay. Cowgirls naman kami. Masaya pa rin! Disney Train. Ang lakas maka-Mickey Mouse Clubhouse. 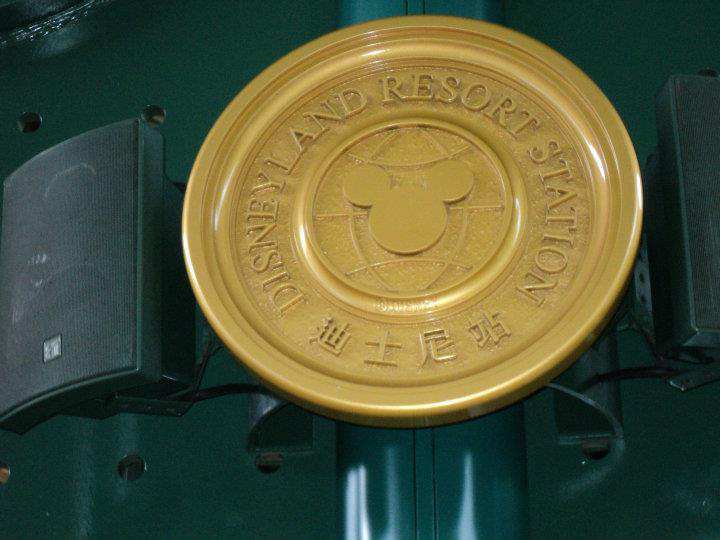 Back to the story: After eating lunch with some readers, they led us to Disneyland! Yey! We purchased “Octopus Card” for 150HKD that we could use to practically anywhere–from transportation to shopping! How cool is that! We took the subway. Bow ako sa subway nila! Sobrang linis and hi-tech! They called it MTR. We had an MTR map that at first we found complicated, but later on, na-gets na din namin. I love their subway so much! So chuchalin! 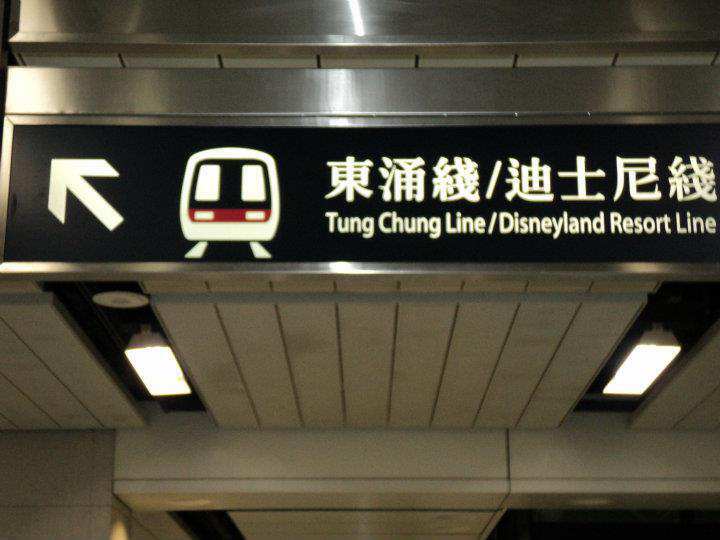 😀 Especially the train from Sunny Bay to Disneyland with window panes that have Mickey Mouse’ head’s shape. The train was totally cute! SUBWAY. The orange line moves from one circle to another as the train moves toward each station. We were able to get Disneyland ticket for 320HKD (1,760php) and Ocean Park Ticket for 250HKD (1,375php) at The World Wide Plaza (where PHR readers in HK buy our books). So, as we stepped inside the Disneyland, we were welcomed by a familiar sight. 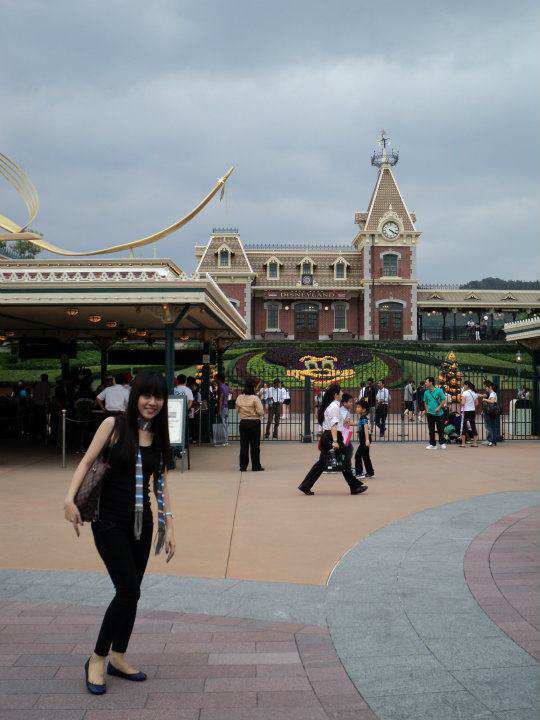 Old American style pala ang HK Disneyland, nai-associate ko siya sa Enchanted Kingdom. So, this is where EK got their architectural design. (I’m clueless about how the other Disneylands look though). The Disney Castle was awesome! 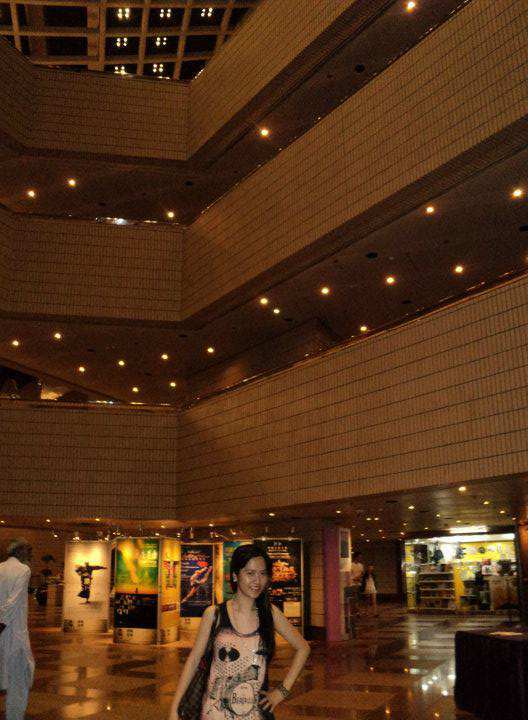 I suddenly imagined I was a princess and my prince was there… waiting to be kissed… ay, palaka! 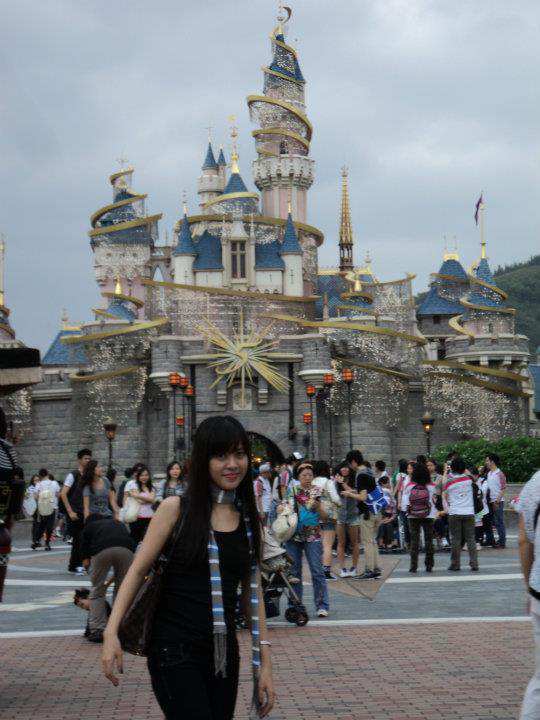 Anyway, HK Disneyland was LOVE! But I didn’t love the weather that day. Umaambon-ambon, umuulan-ulan. Lakas makapanira ng pag-accomplish ko sa “childhood dream” ko. But I noticed, everywhere I look, lahat ng rides, pambata! So, ayun, we didn’t try the kiddie rides at baka mapagkamalan pa kaming retarded (though I was tempted to try one :P). But we did try a few not-so-kiddie ones. 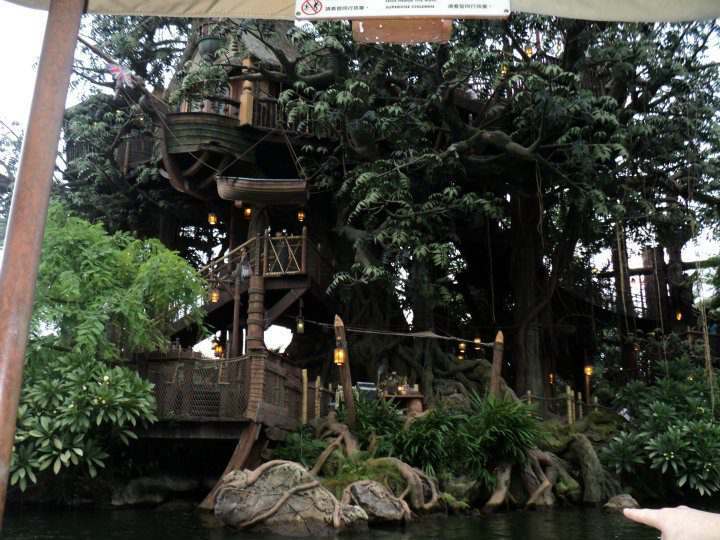 Favorite ko yung Jungle Cruise saka Philhar Magic. We visited the Disney store where everything was expensive! And strolled along the parks and ate choco waffles and octopus snack in the food booth (I’m really not sure what exactly we were eating). Due to the bad weather, di namin nalibot ang buong Disneyland, plus all my companions were exhausted (maybe because of lack of sleep). But I was surprisingly energetic even if I only had an hour of sleep! I was so sad I didn’t get the chance to ride the Space Mountain (rollercoaster inside a big hump). Wala kasi akong kasama kasi takot sila. Sobrang sayang, though. 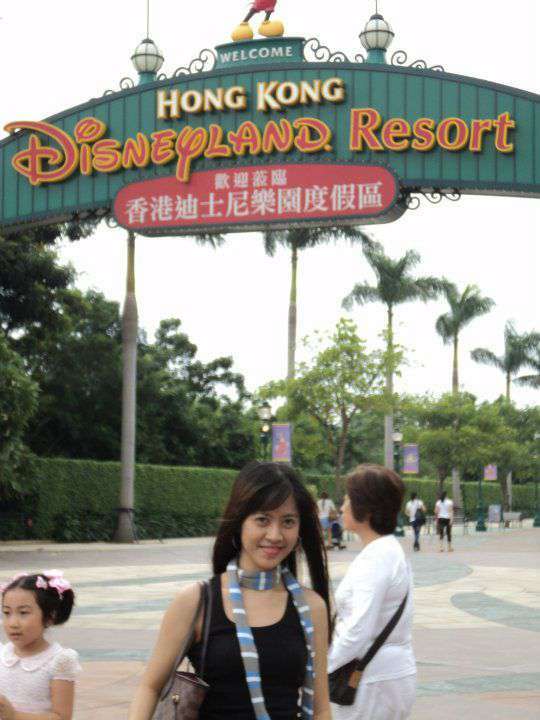 I just promised to myself that when I come back there, iyang Space Mountain na iyan ang unang-unang sasakyan ko! We watched the parade, took pictures with Goofy and waited for the main event—fireworks display! And wow, the fireworks and the castle’s display of lights with music from Disney blew me away! It was one of the most amazing sights I’ve seen in my life so far! While watching, it brought back the memories of my childhood (only the ones that I remember because I have a typical case of childhood amnesia) and it almost brought me to tears. That moment was magical. It warmed my heart. I was really thankful I had the chance to witness that spectacular sight in this lifetime. Akala ko ako lang ang nag-moment ng ganun. Aba, sila din pala! Mga emo! LOL. Napunta lang sa HK, nagsi-EMO-han na! But no, maybe that was really the effect to everyone who watches the fireworks display—you will feel nostalgic. Anyway, as we went back to the guest house, we were all happy na. Nawala ‘yong frustrations dahil sa bad weather and exhaustion due to lack of sleep. Pagbalik sa guest house, lahat palakda. Ako, dilat na dilat. I took a shower pa nang madaling araw, had a two-hour sleep and when I woke up at 6am, they were all still asleep, I took a shower again and waited for them to wake up. Pagkagising nila, nagulat sila kasi gising pa ako at may towel sa ulo. Sabi nila isa akong aswang. LOL. Ganyan talaga ako pag giddy at sobrang saya. Wapakels kahit walang tulog. DAY 2 was our Macau sidetrip. 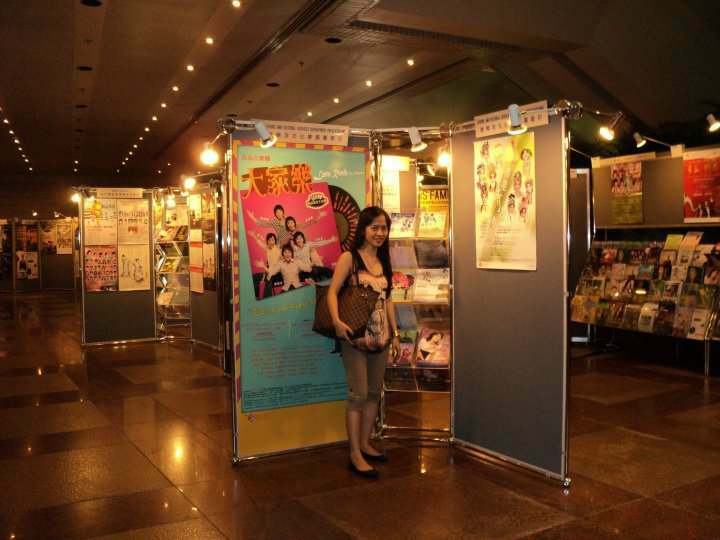 Skip ko chika dito kasi I will make separate entry for this. Doon tayo sa part ng day na ito na bumalik na kami from Macau to TST. 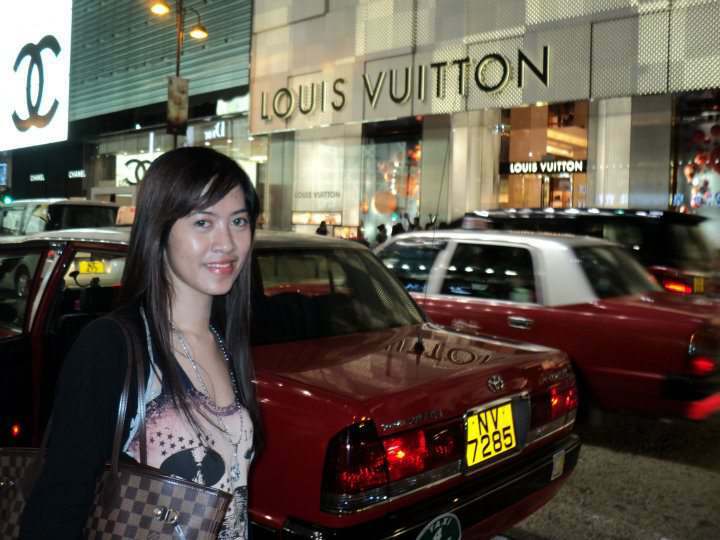 And so we were walking down the most chuchaling street sa TST where LV, Gucci, Prada are naglipana—Harbour City! Nagpanggap akong sosyalera since naka-LV bag naman ako. So, ayun window shopping kami. As in literal na window shopping kasi hanggang windows lang kami ng mga luxury shops. LOL. May hinahanap na store si Ate Mitch at Vic, so we were dragged along. Pero biglang nagkaroon ng isang hindi inaasahang pangyayari na nagpahiwalay sa aming landas… (cue in teleserye background music) Bigla kami na lang ni Ate Chai ang magkasama! Kaya kumain na lang kami ng dumpling sa sidewalk! Yey! Sarap ng dumplings nilang kulay green. Di ko lang ma-gets bakit wala silang paper plate, like yung ginagamit sa kikiam, fishballs sa Pinas. Naisip ko tuloy, “Hmp! Buti pa sa Pinas, may paper plate! 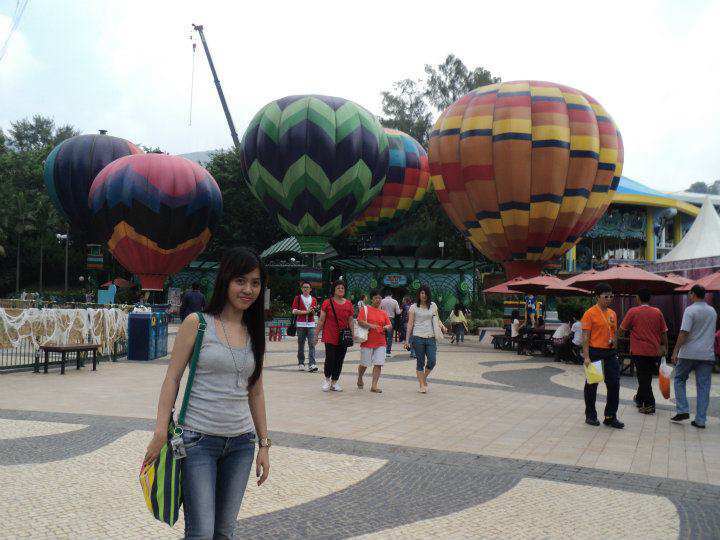 Take me back to my country!” Chos lang! 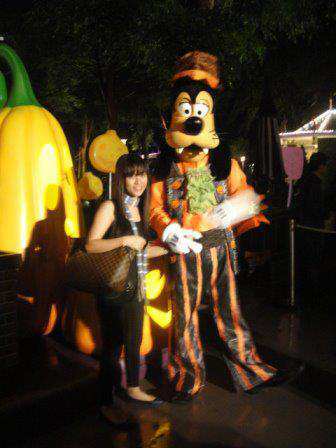 Holding hands with Goofy. Ayieee! After namin lumafang ng dimsum, we decided to go back to the guest house to see if they’re there pero wala so I dragged Ate Chai to go gala galore along TST! Para kaming naglaro ng Dora, Dora, Dora, the explorer ni Ate Chai hihi! 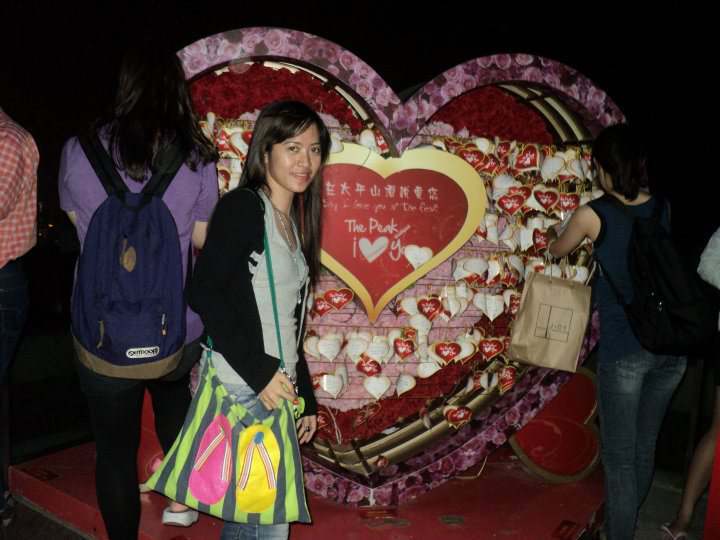 We had to find the way to The Avenue Of Stars, Clock Tower and Star Ferry, minus the backpack (sagot ko na ang bangs! LOL). We were hoping we could catch the Symphony Of Lights at 8pm. Nagkandaligaw-ligaw kami. I know, I have the poorest sense of direction. Sorry, Ate Chai, for dragging you into this mess. So, nag-lapse na ang 8pm pero di pa namin natutunton ang isa man sa hinahanap namin. Nakakatawa lang kasi yung mga tsekwa na napagtanungan namin, di nila alam yung Symphony of Lights Stars Avenue??? I mean, hello? Do they live there? Come on! Naubos na ang baon kong English, wala pa rin kaming napapala. Parang gusto na naming maglupasay ni Ate Chai sa kalsada sa frustration. But good thing, di naman kami humantong sa ganong tagpo! We’d managed to find the way towards the Star Ferry through the street signs. Dapat pala diniretso na lang namin ang Nathan Road! The first thing we saw was the Clock Tower. So, camwhoring galore kami ni At Chai (o ako lang yata LOL). You know what they say that you’d only get to know someone well when you two get together alone? Thanks to this experience, nalaman ko na talented writer si Ate Chai pero wala siyang talent sa photography! LOL. Ate Chai, peace! You know, I love you! You’re the kindest person for me and your kindness often makes me feel like I’m a devil. 😛 After my pictorial at the clock, we went up the deck. Ansarap lang ng hangin sa deck, at sobrang ganda ng overlooking—the Symphony of Lights, minus the moving lights, if you get what I mean. A young Chinese couple asked me something in Chinese language which of course I didn’t understand. Then they came back to me and told me “Please take picture,” and handed me their camera. And so I did… take picture of myself. Bakit ba, eh wala naman silang sinabi na sila ang kukuhanan ko! Chos! Yes, I did take their picture together. Naiinggit naman ako nang slight. Ang sweet kasi nila. Naalala ko tuloy ang nakaraan namin ni Dao Ming Si noong kinakantahan pa niya ako ng Wo Shi Zhanda Zhanda Zhanda Wo Ai Ni. TSARLOTS! I dragged Ate Chai inside a wide building with movie posters outside. And we found out that it was the Stars Avenue. Too bad the museum was closed. But we were able to get inside and again camwhored! After that we sat at the bench outside. Nagyaya na si Ate Chai na bumalik sa guest house. “Ayaw ko pa, Ate Chai!” in a malditang batang makulit tone. Hehe. Because Ate Chai was so kind, she didn’t press. Pinagbigyan niya ang bata… bata-isip. 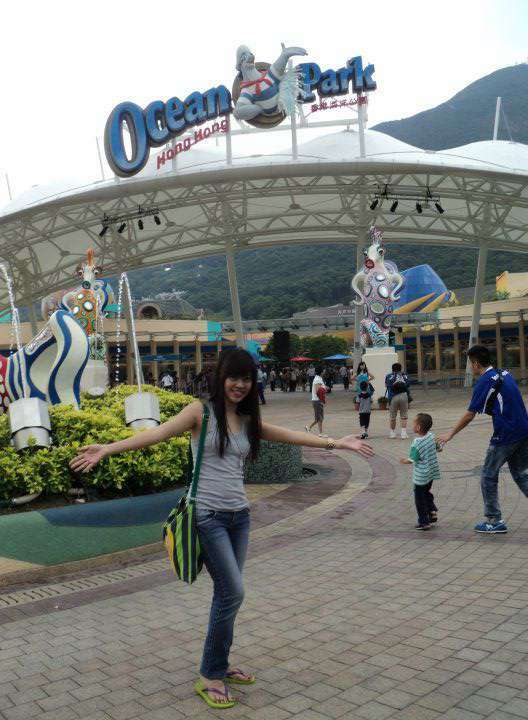 HK Ocean Park was awesome!!! 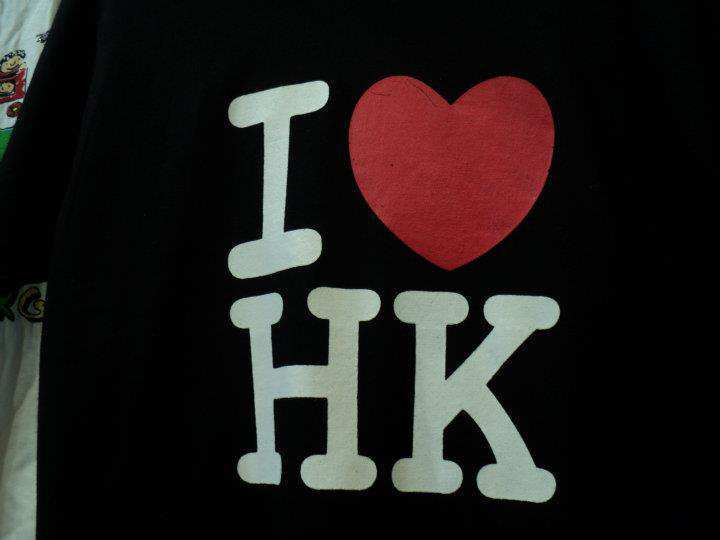 Before I went here, I was told by someone that HK OP was a lot more funner than the Disneyland. And she was right. 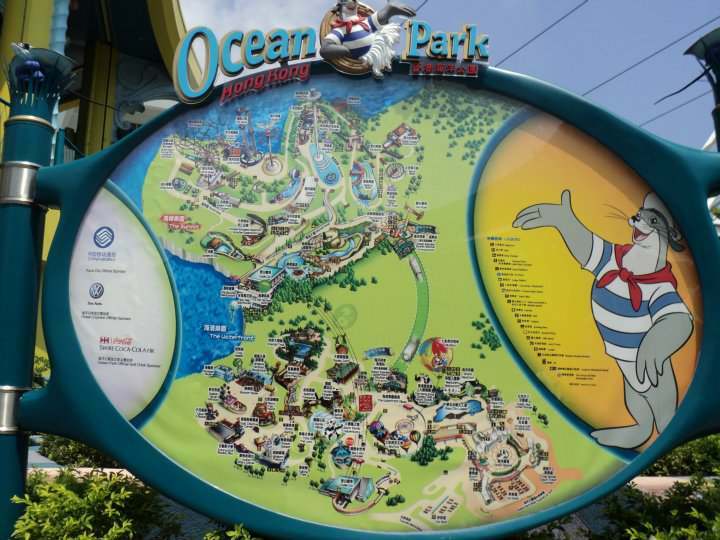 OP is the amusement park for all ages! They have too many exciting rides and attractions! Di ito malilibot ng isang buong araw lang. If you’re planning to go here, you must allocate 2 days for this place, or maybe 3! We rode the Sky Fair (a huge hot-air baloon-like ride and the Rapids. 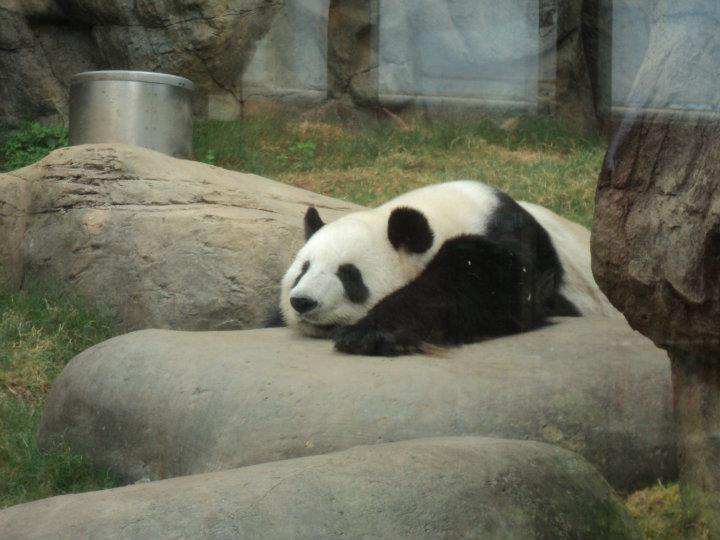 I saw a lot of Panda! They’re so cute!!! 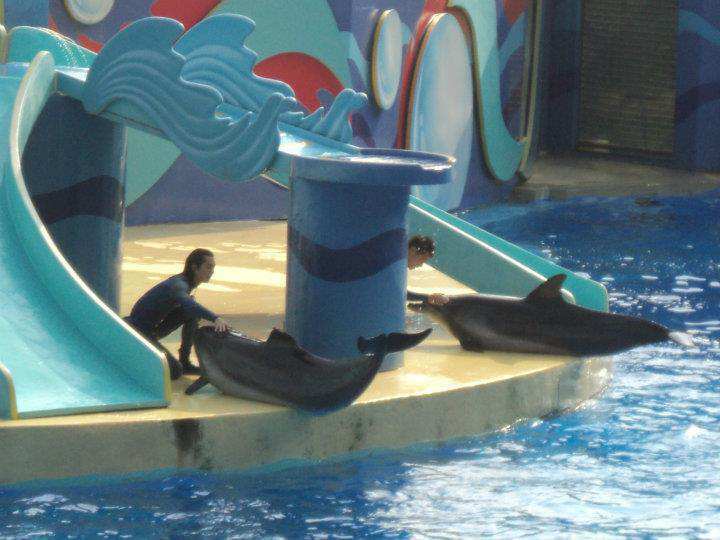 We watched the dolphin and sea lion show at the Ocean Theater. 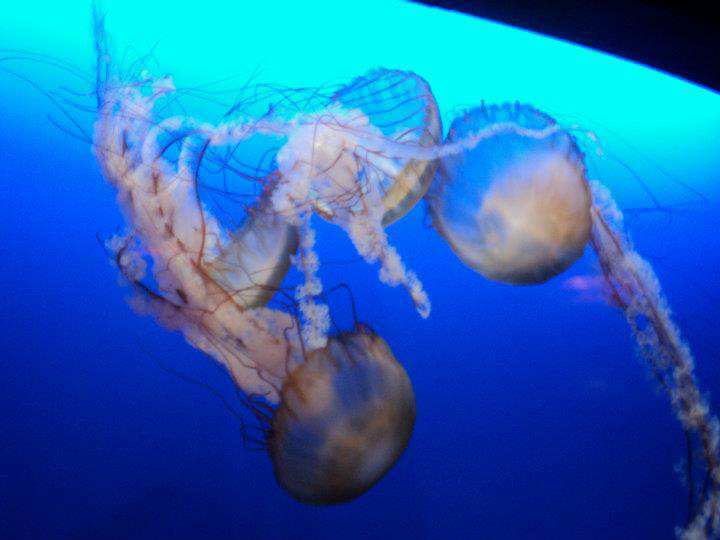 We entered the Grand Aquarium and the Sea Jelly Spectacular. 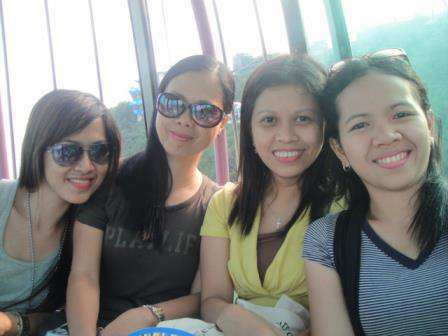 And the most exciting ride was the Cable Car ride! LOL. The view below was spectacular kaso nabingi ako sa kakatili ni Ate Agnes. Haha! Para siyang nakasakay sa roller coaster na may sampung loop! Sobrang taas kasi ng cable car. We had to leave at 4pm because we had to go to The Peak Tower and Sky Terrace 360. We took a bus at humilata sa second floor. Wala naman kasing ibang nakasakay. Ang bongga talaga ng buses nila. Dalawang LED TV pa ang nasa itaas sa magkabilang side. Pwede namang isa lang. Naalala ko tuloy yung buses sa Pinas… hay ayoko na nga, nade-deflate na ang nationalistic spirit ko LOL. The view below as we ascend to the Peak was beautiful as the sun sets. 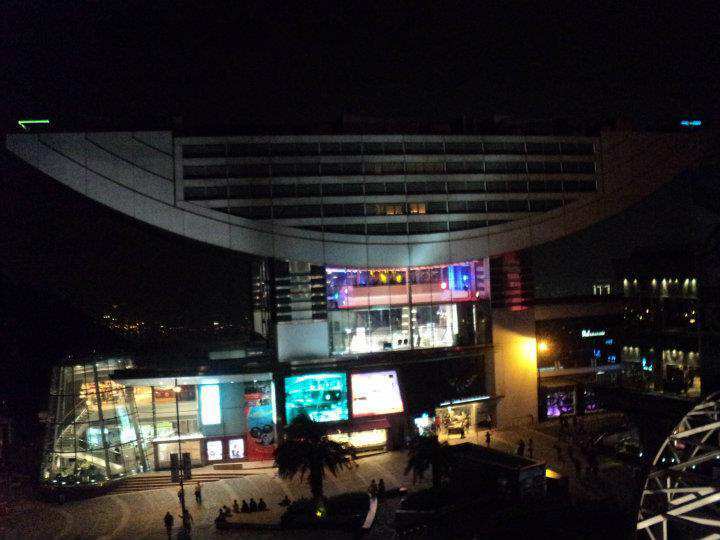 Imbes na sa Peak Tower, sa Peak Galleria kami napadpad and we had to rush to find the Peak Tower so we could watch the Symphony of Lights from the Sky Terrace above the tower. The view was beautiful from up above the tower. Medyo disappointed lang ako sa Symphony of Lights. Di naman ganun ka-spectacular. But well, the night view and the fresh air up there were good enough. At the Sky Terrace. I don’t know exactly what this big heart was about. Next and last destination: Ladies Market in Mongkok where you can make “tawad-tawad” and make pahabol to the tindera until they agree to your price. Iyon ang tip, if you’ll go here, wag ka agad pumayag sa presyong sasabihin nila, turn your back for a second and they’ll call you and ask you “How much you?” I was tempted to ask back “You buying me? Me is expensive! You do not afford!” LOL. Yes, I know, wrong GRAMMING siya. hehe. I have a lot of that also, so I won’t be a grammar nazi, it’s okay 😛 Ladies’ Market is like the Divisoria of HK. You’ll find cool, cheap items there for pasalubong. Singit lang: Sa Peak Galleria nga pala, we dined in at Mc Donalds. I was surprised by the size of their big mac na big talaga, ng fries in big sleeve at coke in big cup for only 18HKD (99php)! Sa Pinas kasi maliit lang ang big mac, maliit pa ang fries and drinks, you would have to add a few bucks to upsize the last two items. Hmmm… naisip ko ang ripoff naman ng Philippine franchise ng McDo. Hayyy…. So after the tawarans and tanungan ng how much you, we took the subway back to guest house. We were all exhausted but all happy. We’ve survived making gala to HK even without a tour guide! For us, that was quite an achievement. Kinabukasan, babay na sa HK. We could have stayed longer pero may pasok pa sa trabaho yung iba sa amin. Even if we had a few mishaps, like sa guest house na nakuha namin at sa mga nawalang pera at bad weather… masaya pa rin! 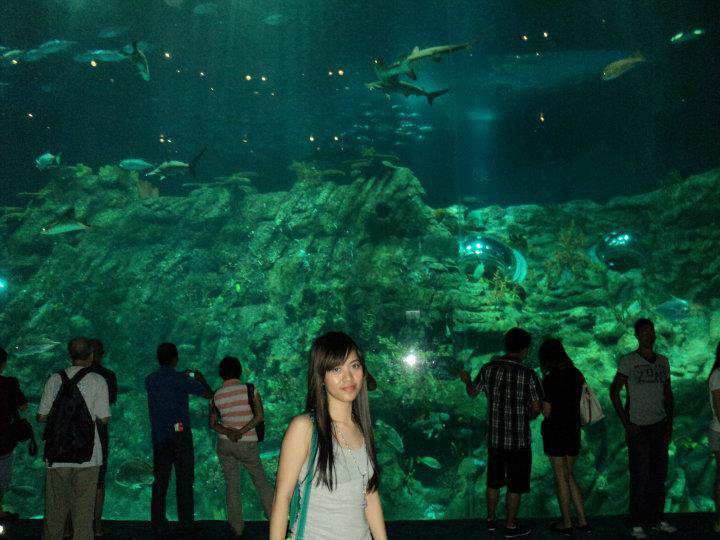 My first trip abroad had been so fun! 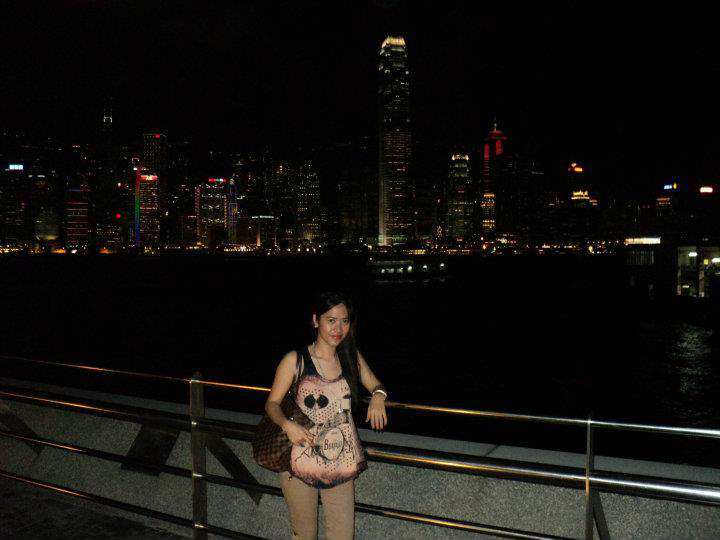 I would definitely go back to HK and I promise my next time would be a blast! PS: Nasabat ang aking lotion at unused sunblock spray sa HK airport nung pauwi na kami. Hindi nga ako nagbayad sa check in baggage, nawalan naman ako ng 700 pesos worth of personal items. 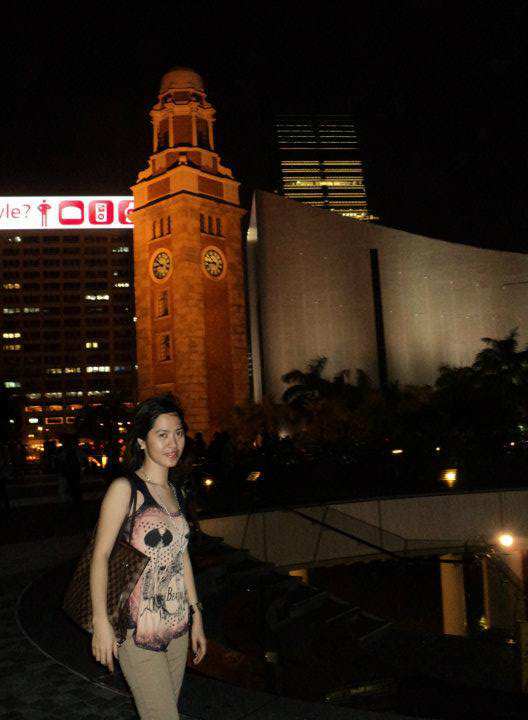 PPS: Three days of almost no sleep at all in HK! I was amazed I was still alive when I got home! This entry was posted in Travel. Tagged HongKong, Travel.